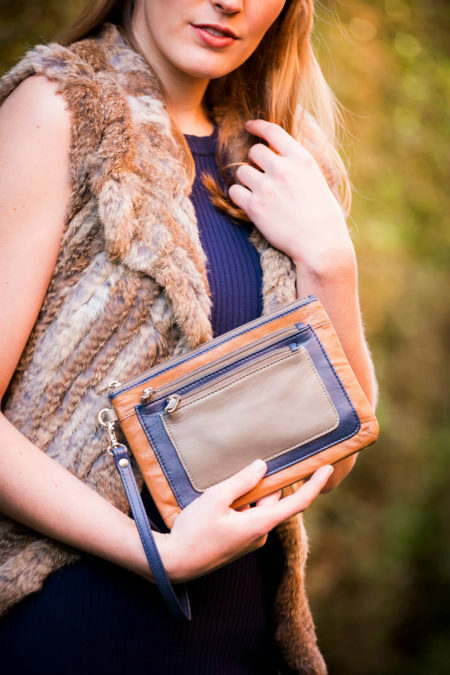 This stunning travel clutch wallet is an everyday companion with an adventurous spirit. 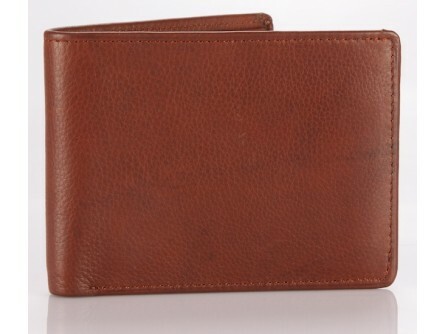 Use it as your daily wallet or as a travel companion, it will carry everything for you with the minimum of fuss. 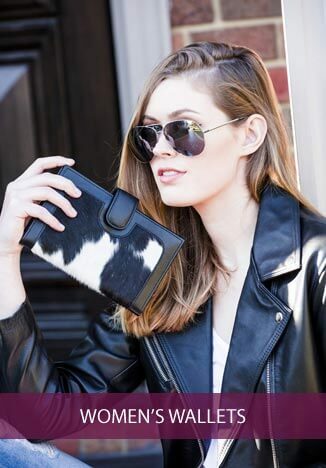 It opens to reveal a multitude of pockets and compartments, perfect to fit your passport, currency, plane ticket, itinerary, pen and credit cards, all in an organised way. A useful and convenient household product for everyone. 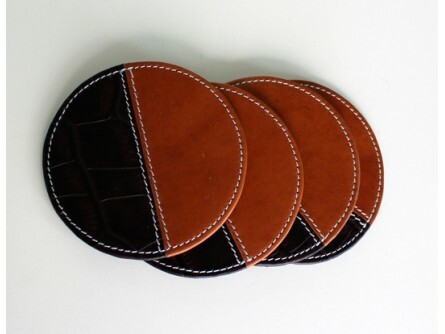 Made in 2 colour combination these coasters add an elegance to any table and ensure a stain free table top!. 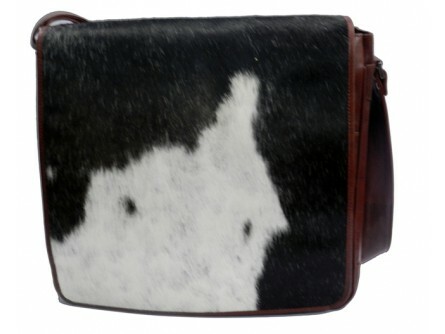 Made from pure cow antique leather and a cotton felt backing ,the combination of black and tan along with top contrast stitching gives it a mesmerising look. 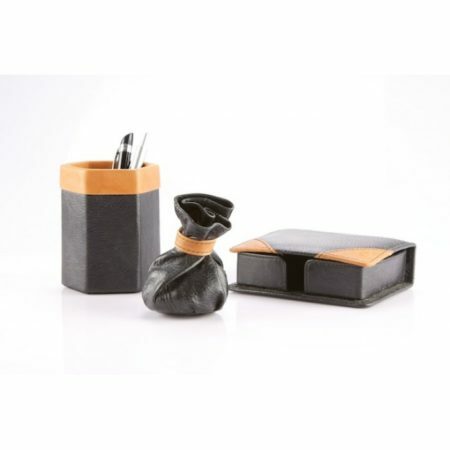 A set of 4 tied with a leather string is ideal for home or gifting purpose. 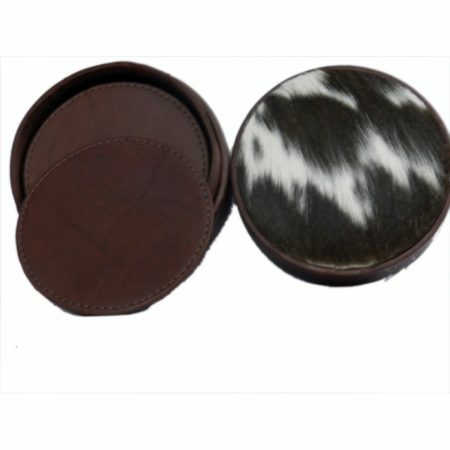 Set of 4 pure leather round coasters made of Antique cow hide encased in a luxuriant leather round box. The lid is made of exclusive Hair on Jersey leather. A great gift frame to carry your favourite pictures of your family, friends or loved ones wherever you may go. Light weight and small enough to carry on any journey or a gift to someone special. Beautifully handmade using the finest Jersey hairon in cow leather adding to the beauty in this photo frame carrying 4*6 size pictures. 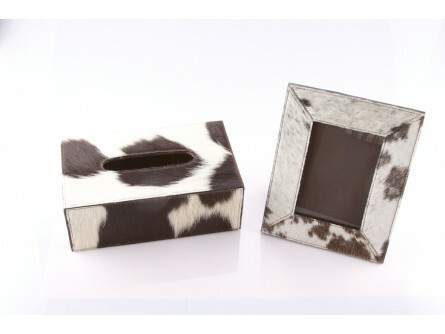 Tissue Box in Hairon cowhide on the outer area and elastic at the bottom to fit tissue box easily. 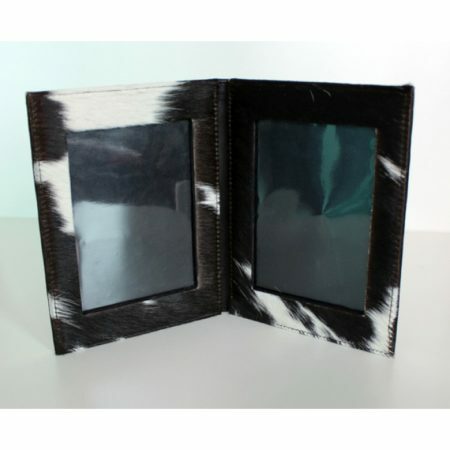 Photo frame's front facing Panel in Hairon cowhide and back in plain leather. Fits 4"x6" photo size. 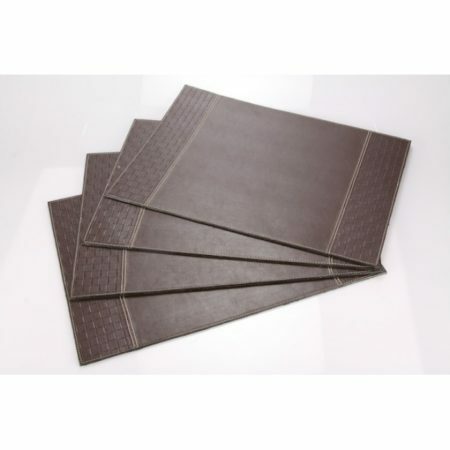 Brown Placemat with sides in Embossed leather and centre in plain leather. Top stitching in white. 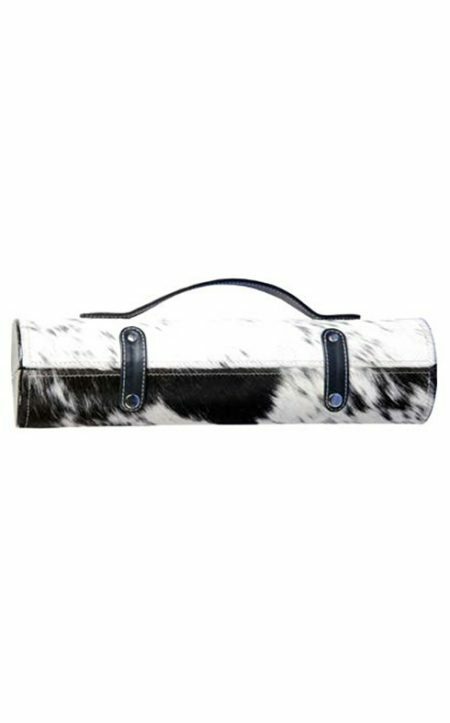 Dine in style with this beautiful and elegant cowhide wine case. Made of MDF board with leather covering and white top show stitching, it has a convenient hand handle and snap buttons closure. 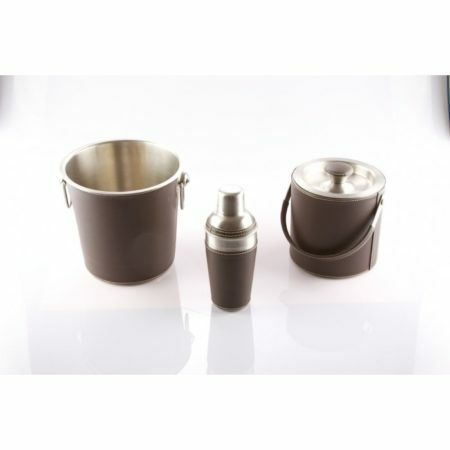 Perfect BYO companion or a classy birthday gift for your loved ones. This compact sling bag twill easily fit all your essentials for a night on the town or a day out with friends. 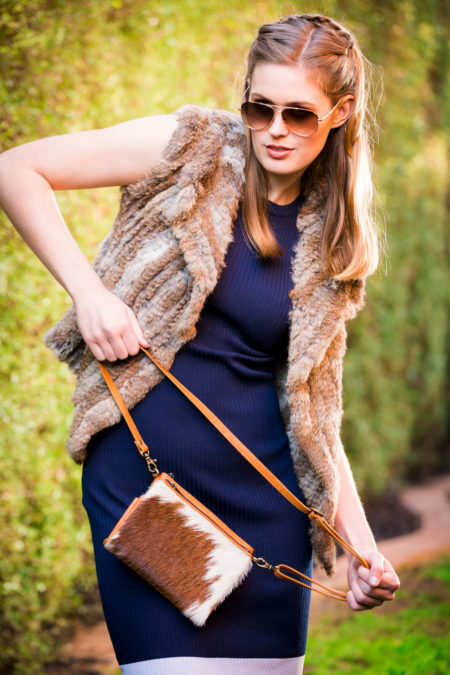 Carry it on your shoulder or extend the strap and wear it cross-body. This elegant double zippered wristlet is sure to be an equally sought-after accessory. 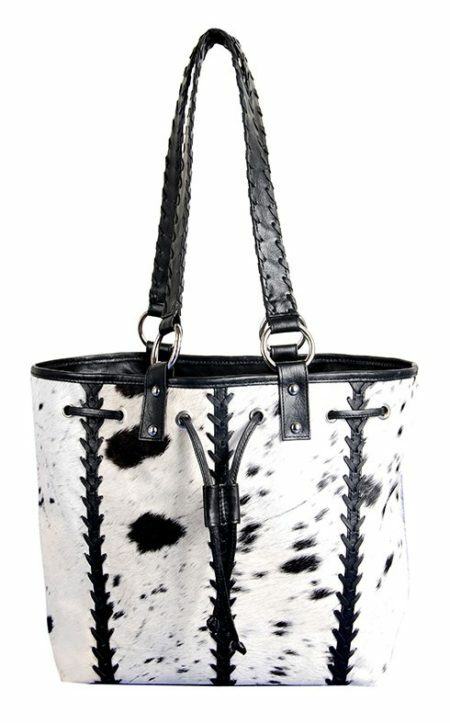 Expertly crafted from Stonewash leather with natural cowhide, completed with double zippered closures, open pocket in between and a host of card slots. Scotch case in MDF board with leather covering and white top show stitching. Convenient hand handle and snap button closure. 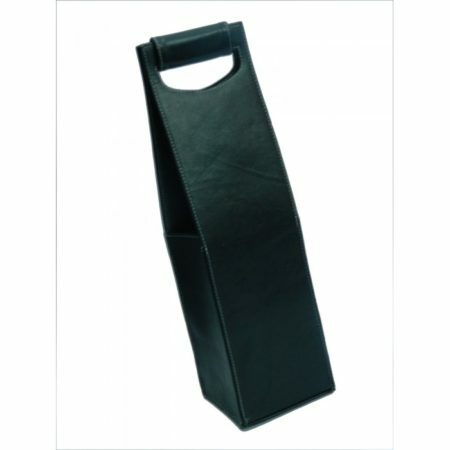 Leather Wine Carrier features a top opening with hook n loop strap closure, opens to water resistant lined interior with center divider to hold two wine bottles. 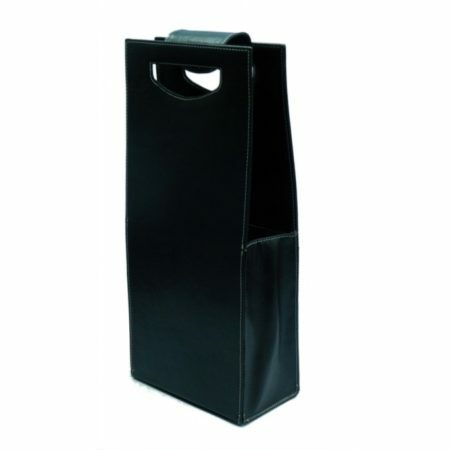 Wine case in leather with white top show stitching and smart leather closure. 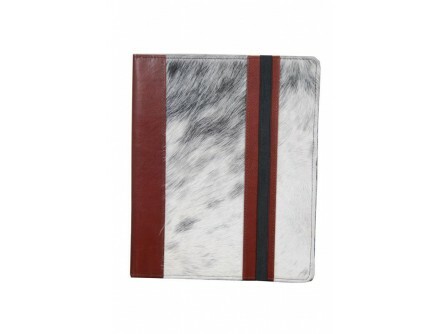 Keep your iPad or tablet in this hairon zebra print cow leather protected with this sleeve. 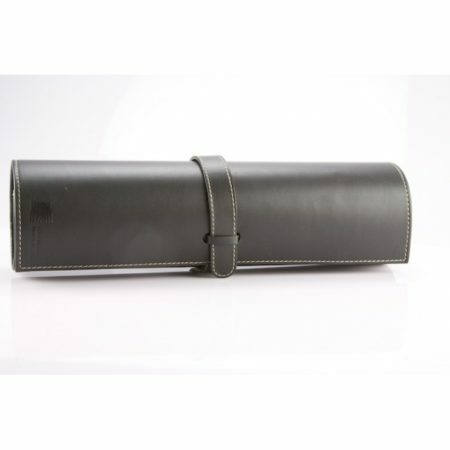 This sleeve will ensure your device is safeguarded against damage when you're out and about. 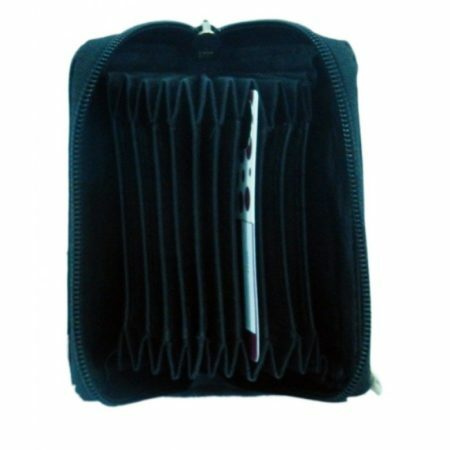 Designed with the working week in mind, this iPad Bag is a perfect partner for your everyday or travel needs, with handy compartments for your media, pens and iPad. Featuring a magnetic closure with adjustable shoulder strap and multiple internal and external pockets, the iPad Bag is smart, fashionable and versatile. An Ipad case specially designed and is made in exclusive hairon Jersey leather and antique brown antique leather with felt lining to ensure scratch free snug fit for your IPad. There are 4 corners made for the IPad to ensure a snug fit.There is a rubberband enclosure to ensure that your IPad is safe. 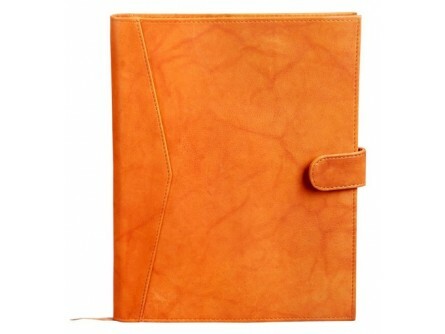 An Ipad case specially designed for the latest addition to the Ipads---the IPad mini. 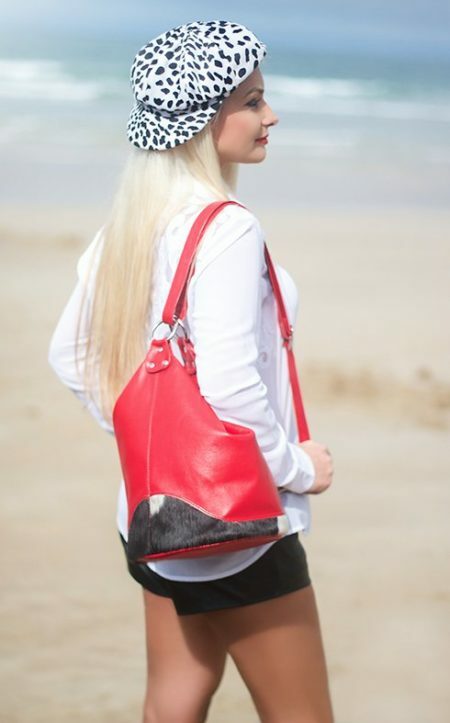 This piece is made in exclusive hairon Jersey leather and drymill red leather with felt lining to ensure scratch free snug fit for your IPad mini. There are 4 corners made for the IPad mini to ensure a snug fit.There is a rubberband enclosure to ensure that your mini is safe. 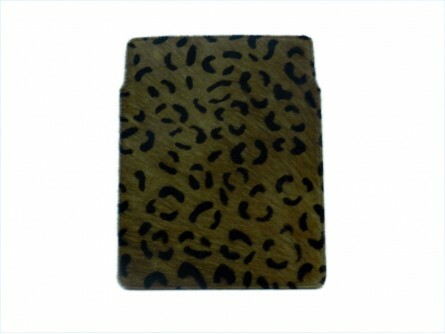 A beautiful sleek I pad sleeve in leapord print Hairon cowhide.It lends a class to the product with a hint of exclusivity. 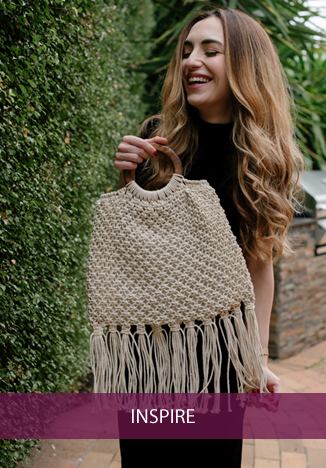 This beautiful hand-made, weightless bag is every women's dream. 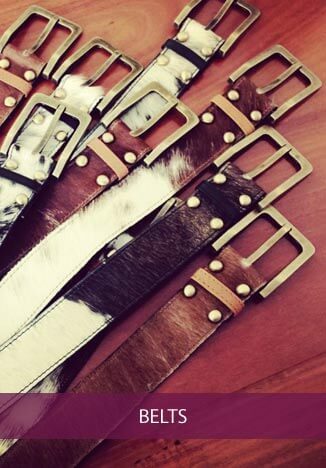 Stunning raw cowhide flap, finished off with cutwork leather strap and tassel details. 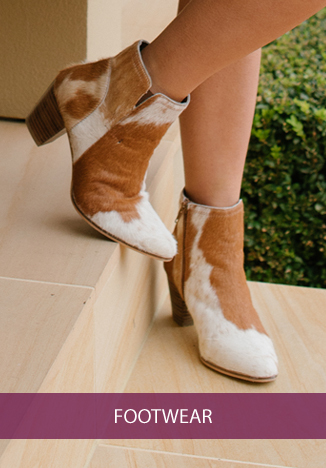 Perfect for a day of shopping, or an evening out with friends. 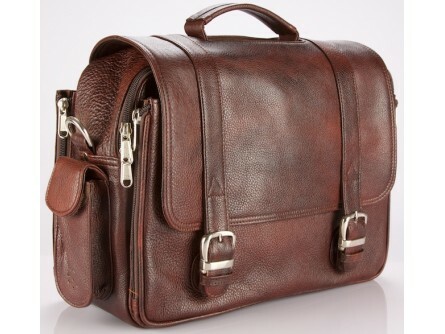 This is a smart and casual satchel perfect for on-the-go living. 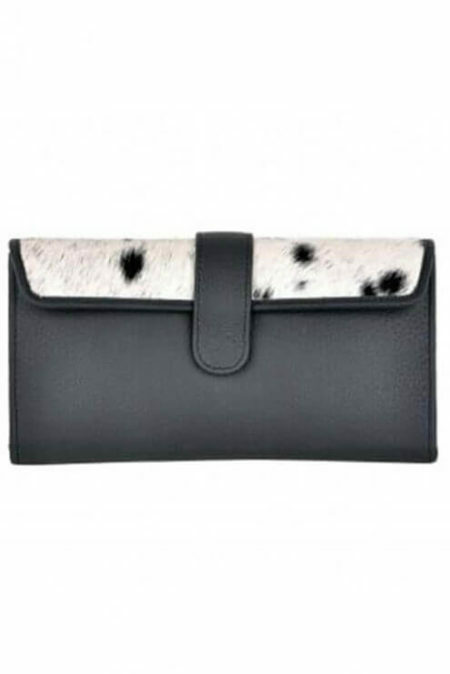 Easy to carry, this sleek style features enough room to carry your I pad or the daily essentials. 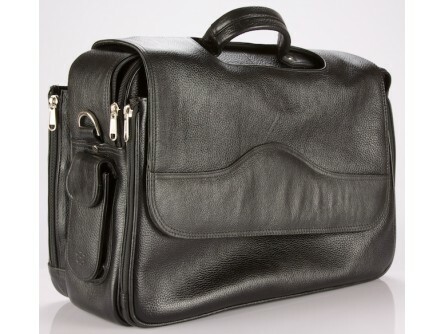 Leather Laptop bag with magnet closure and lots of space with a hand handle and shoulder strap. Outside mobile/ spec case. File compartments on the back that can be expanded. Inside space for papers, files, wires, hard drive etc. Compact looking Laptop bag with lots of space with a hand handle and shoulder strap. Outside mobile/ spec case. File compartments on the back that can be expanded. Inside space for papers, files, wires, hard drive etc. 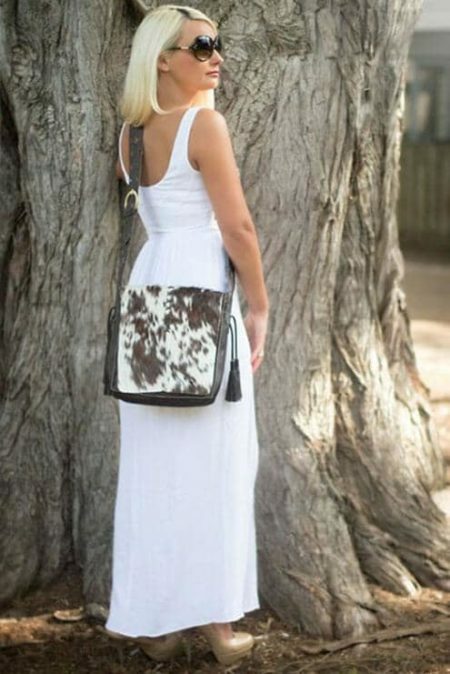 Look no further for a classic—our Estate city bag made in antique cow leather with flap in jersey print cow leather features supple leather and a roomy interior with plenty of pockets. Stylish yet sturdy, it's made to withstand wherever the day may take you. 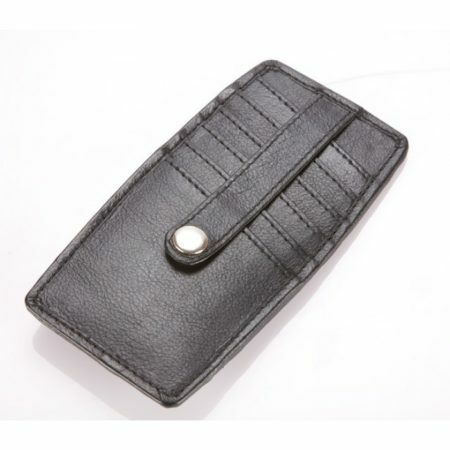 Gents wallet with ID card window and credit card pockets and memory card pockets. 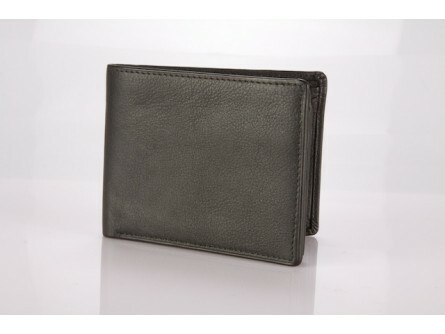 Gents wallet with Change purse with flap, ID card window and credit card pockets. Can hold upto 7 cards. 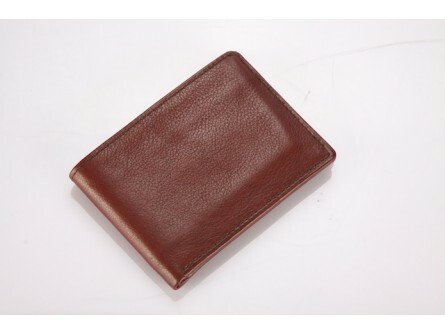 Gents wallet with Change purse with flap, ID card window and credit card pockets. 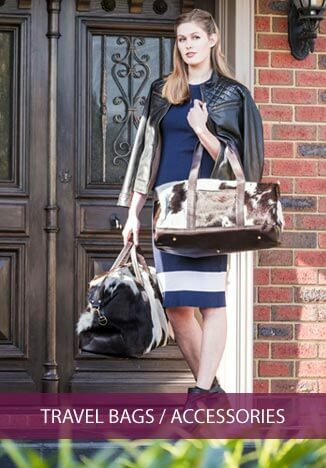 This big bag is the perfect carry all or 24 hour bag. It is roomy, simple and chic. 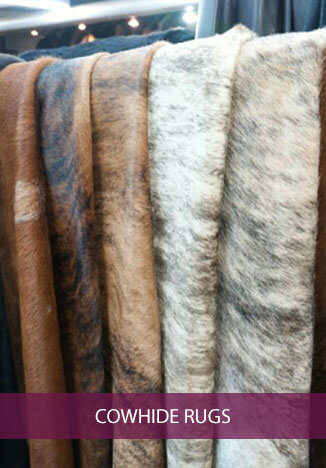 A pleasure to carry on your shoulder or in-hand makes a style statement.